One of the biggest draws to LG’s 2017, flagship phone, the G6, is the eye-catching FullVision display that dominates the front fascia and elbows the bezels off to the edges. Now, the hardware maker is bringing that same treatment to a series of presumably more affordable handsets starting next month. While the G6 featured a 5.7-inch 18:9 QHD+ screen, the new Q6 lineup will come with a 5.5-inch 2160 x 1080 pixel display. That means you’ll get the same aspect ratio in a slightly more pocketable size; the lower resolution might be a blessing in disguise, as it will potentially consume less battery life than a sharper screen. The other notable downgrades are in the processor and camera departments: instead of the G6’s Snapdragon 835, you’ll get a 435 from 2016, and a single rear 13-megapixel shooter. The three variants, the Q6, Q6+ and Q6α are practically identical, save for their RAM and onboard storage configurations, and color options. That’s a neat package for folks looking to get a taste of the 18:9 life on the cheap. And of course, if you want premium specs, you can always opt for the original G6 or its pricier sibling, the G6+, which comes with 128GB of storage and a Hi-Fi 32-bit Quad DAC for better audio output. 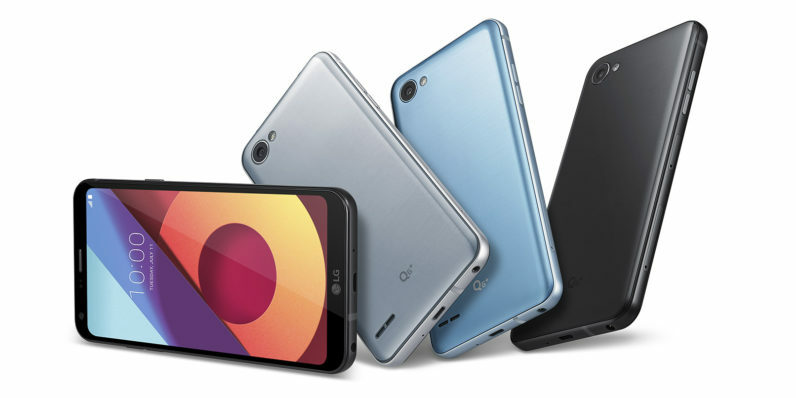 Expect to see the Q6 range in a store near you soon: LG is launching them in August across Asia, followed by Europe, Latin America and North America.